Monty Ray Grow was a defensive back on the Florida Gators’ football team from 1990 until 1993. He contracted to play for the Kansas City Chiefs in 1994 and then for the Jacksonville Jaguars in 1995 and 1996. On February 5, 2018, he was convicted by a federal jury in Miami for his chief role in a massive healthcare marketing scheme designed to defraud Tricare. Tricare is a health benefit program that provides civilian benefits for U.S Armed Forces military personnel, retirees, their dependents, and some military reservists. Tricare is a Department of Defense Program. In September 2014, Grow entered into an agreement with a compounding pharmacy in Pompano Beach, Florida, wherein the pharmacy would pay Grow’s marketing company a commission equal to fifty percent (50%) of what the pharmacy netted in Tricare reimbursement from Grow’s referral of Tricare beneficiaries to the pharmacy. (Later on, Grow became an employee of the pharmacy.) Grow then used his commission to offer and pay recruiters to convince Tricare beneficiaries to use this pharmacy. Additionally, Grow offered and paid Tricare beneficiaries themselves to use this pharmacy. Less than a year ago that medical device developer, Olympus Corp, agreed to pay a $646 million settlement to resolve claims of illegal kickbacks to physicians and hospitals. This is considered to be the largest settlement amount in the history of violations to the Anti-kickback Statute. The federal Anti-Kickback Statute (“Anti-Kickback Statute”) is a criminal statute that prohibits the exchange (or offer to exchange), of anything of value, in an effort to induce or reward the referral of federal health care program business. Conviction for a single violation under the Anti-Kickback Statute may result in a fine of up to $25,000 and imprisonment for up to five (5) years. In addition, a conviction will result in mandatory exclusion from participation in federal health care programs. The government may also assess civil money penalties, which could result in treble damages plus $50,000 for each violation of the Anti-Kickback Statute. Between 2006 and 2011, Olympus offered consulting deals among many other bribes to influence physicians to order and prescribe Olympus medical devices. These consulting agreements provided for large up-front payments to physicians under the guise of medical device development. Olympus failed to focus on compliance and didn’t have policies and procedures in place to prevent illegal arrangements such as these. These physicians were retained as consultants, but most provided very little consulting services; they were utilized as device promoters. Physicians have a duty to order medical devices solely on the traditional standards of quality, price, and appropriateness for the medical conditions treated. Moreover, the ordering of medical devices by a physician must never be influenced by personal financial gain. Is there a court in Florida that has interpreted that law or opined on the concept? Not exactly. The closest thing we have is the Crow decision, where the 5th District Court of Appeals affirmed a Board of Medicine handling an issue involving the concept. The issue of whether a medical provider can provide free patient transport is one that we are asked to look into a few times every year. Aside from the liability issues that it raises, it is one that we have never been able to justify from an Anti-Kickback and Patient Brokering perspective. The fact is, even given the good intentions of most providers to allow their patients easier access to healthcare, transporting patients to and from your facility or practice is providing them with something of value in return for coming to see you. However, under slightly different facts than we are usually asked to consider the question, last week, the Department of Health and Human Services Office of the Inspector General (“OIG”) came to a different conclusion. The clinical/anatomic lab (“Lab”) wanted to have agreements with physician practices to provide all their lab services. To deal with the fact that some commercial insurers have exclusive arrangements with labs, the Lab proposed that if a practice patient’s insurer required the patient to use another lab, the Lab would waive all fees for the affected practice patients and would not bill the patient, the medical practice or the patient. The Lab would provide its services to these “exclusive patients” for free, while billing all other patients (and/or their insurers, including governmental payers) its fee scheduled or contracted rates. The proposed arrangement would allegedly simplify things for the practices and keep lab results uniform. A practice patient would be required to use the Lab. The Lab’s services would simply be offered by the practices to their patients. The Lab stated that the provision of free services to certain practice patients would not provide any financial benefit to the practices, although the lab would provide the practice a limited-use interface. Samples would not be drawn in physician offices. 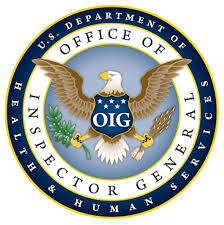 The Office of Inspector General of the Department of Health and Human Services today issued a Special Fraud Alert pertaining to relationships between laboratories and referring physicians. Payments from labs to physicians who refer were targeted in the Alert. The Alert also reiterates their suspicion of so-called “carve out” compensation relationships where state and federal healthcare program dollars are removed from the payment formula (which was previously addressed last year in Advisory Opinion 13-03). While the Alert does not add anything new to the government’s view of such relationships, it does underscore the very suspect view the OIG has of payment relationships between labs and the physicians who refer to them. Careful compliance with the Personal Services and Management Contracts Safe Harbor continues to be a core concern.